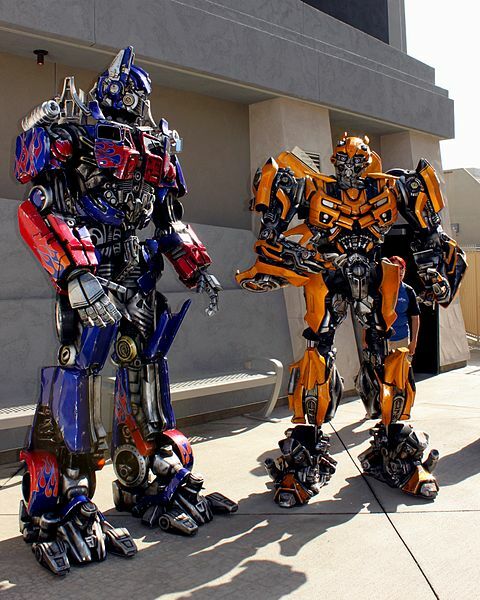 Orlando firefighters rescued 12 guests stuck on the 3-D Transformers ride at Universal Orlando on Tuesday morning. According to Local 6, riders were taken off the ride but no injuries were reported. Fire officials confirmed they were performing a “technical rescue” and the 12 guests were safely assisted out of the vehicle. Casey Ruston, 20, from New Jersey, who was on the 3-D Transformers ride with her family of six: her grandparents and siblings, was a passenger on the Ride 3-D when suddenly it broke down. She said that the ride had been stopped for about an hour before firefighters arrived to take off the guests. “The sounds completely stopped like someone hit mute on the TV. There was no sound. It was just us going through the ride. All of a sudden, everything went black and we stopped.”, recalled Ruston. Pictures from passengers showed the vehicle of the ride being stopped on a low point- one of the worst places on the ride. It appeared the riders couldn’t walk off of the car themselves. They were about 40 feet up from the ground and far enough from the top and the firefighters had to rappel down with ladders to get to the vehicle. Later Alyson Lundell, Universal Studios Public Relations Director, explained that the Ride 3-D had experienced a technical glitch and the fire crews had assisted a small number of passengers off the ride. “All guests are off the ride and everyone is safe and in good spirits,” added Alyson Lundell. Universal Orlando gave the rescued guests VIP passes and free lunch for the day. The 3-D Transformers simulation ride is described as “an ultra-immersive” and “next generation thrill ride” that “blurs the line between fiction and reality” on the official website of Universal Studios Florida. Previous PostPrevious Orlando International ranked the fifth best airport in the U.S.